Rose & Rose, in Kenosha, Wisconsin, offers strong legal representation for criminal defense, family law, divorce, wills, probate, appeals, real estate, business litigation and negligence. We serve individuals and families throughout Kenosha, Racine and Walworth counties. The family's tradition in law began in 1913 with Dr. H. L. Rose, a practicing physician and surgeon, who also had a law degree. Founded in 1940 by firm partner Terry Rose's father, William S. Rose, Rose & Rose is a family practice now in the capable hands of Terry Rose and his son, Christopher Rose. Given our long-standing presence in Kenosha and our consistent legal success, our law firm is well known and respected by our colleagues and peers. 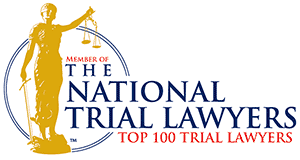 Our attorneys have achieved an AV rating* from Martindale-Hubbell, the national directory of attorneys, indicating the highest level of professional skill and integrity, and the partners have also been recognized by Super Lawyers and the Bar Register of Preeminent Lawyers. Christopher Rose was named a Super Lawyers Rising Star for appellate law in 2006, 2007 and 2008. Although we will make every effort to negotiate or settle cases, our Kenosha state and federal criminal defense attorneys are fully prepared to fight for you in court. We have a solid reputation in the courtroom, and have tried and obtained more not-guilty verdicts than any other law firm in Kenosha. We also have had continuing success representing clients in appeals after a conviction for criminal and civil matters. From offices in Kenosha, our lawyers represent clients in Racine and communities throughout Walworth County and the state of Wisconsin. From anywhere, call us toll free at 800-481-2149 or contact us by e-mail to arrange an initial consultation with one our experienced Kenosha state and federal criminal defense attorneys today. We offer evening, weekend and off-site appointments.